SnapCacklePop: An intimate night with James Morrison..! An intimate night with James Morrison..! 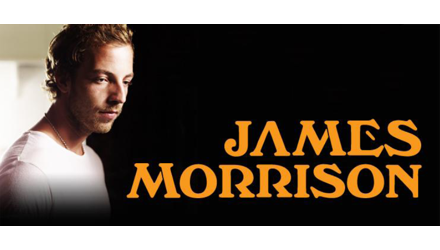 We were very fortunate and thankful to be invited to the special one night intimate gig with UK singer/songwriter James Morrison at Sydney's The Basement. An beautiful venue which places an artist in front of their fans with no large stage, big band or production to hide behind...exposed if you will. The night was billed as an “intimate acoustic performance” featuring songs from the new album The Awakening and other favourites from his debut album Undiscovered. This was the singer’s first Australian performance since 2007 when he broke into the charts with You Give Me Something. Under a soft orange glow, the Warwickshire singer connected with his audience, taking us on an emotional journey through his delivery of songs, strong voice and cheeky charming UK banter. Referring to Australian men as "He-Men" and noting Kylie Minogue as the hottest Ozzie he'd met until he came to Sydney, the Brit captivated his audience with his personality and tracks like Person I Should Of Been, Broken Strings and his Michael Jackson inspired track Slave To The Music. Which is an SCP fav, check it out below..! Delivering further tracks One Life and Up from his new album, the singer ended with his debut international smash, You Give Me Something. It takes a lot of confidence to perform an intimate gig, it exposes as singer, strips them back and bares their soul to their audience. Only truly talented singers can captivate a crowd in such a set up and James Morrison proved his he is that singer, that can not only delivery but melt hearts at the same time..! Mr Morrison pulled the whole thing of with poise, passion and a little humour. We applaud you James for delivering a showcase of your new album and old classics, SCP's crush is a little bit more deeper on you than it was before..! Check out his latest single One Life, which his 3 year old daughter, that he speaks so fondly about, calls the following track "baby girl"